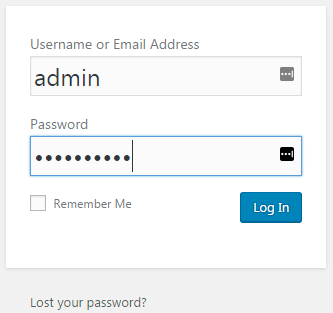 Note: If you've forgotten your Wordpress password or username, click here for a guide to reset it manually. Step 2 - You should see a message near the top left telling you that a new version is available. If you don't see it, click on the W logo in the top left corner. Step 4 - Depending on your site, you may or may not see the bellow screen. 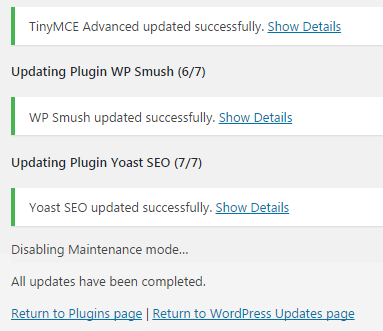 If you do see it, click Update Wordpress Database. Step 6 - Wordpress is now updated. To update Plugin or Themes hover the mouse of Dashboard then click on Updates. 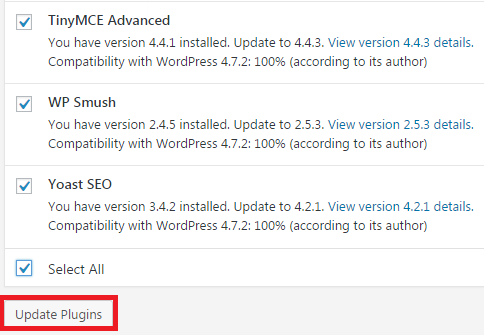 Step 7 - Tick the plugins you want to update, or just tick Select All, then hit the Update Plugins button. 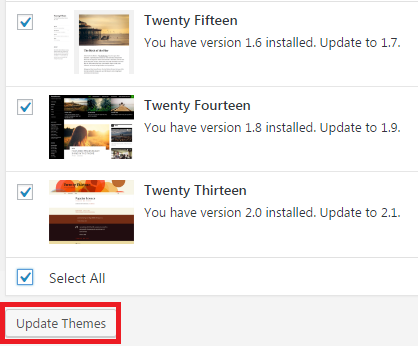 Step 9 - Updating Themes is the same process as updating plugins.